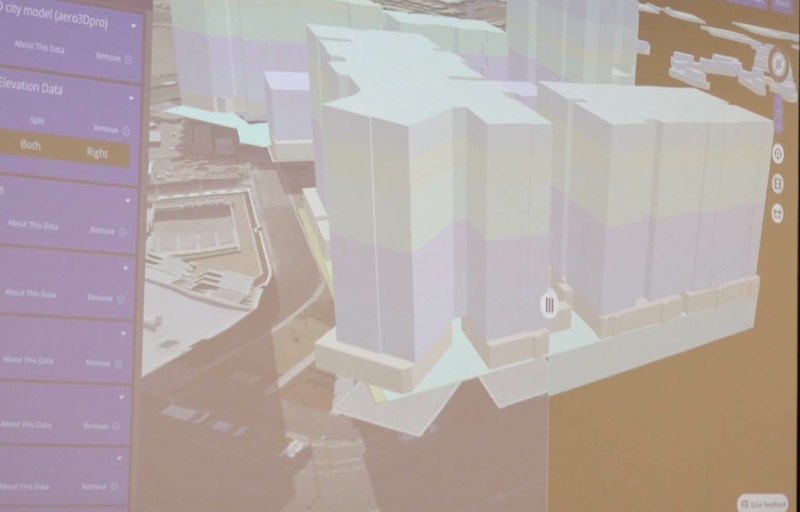 Virtual model shows assets above and below ground in real time. 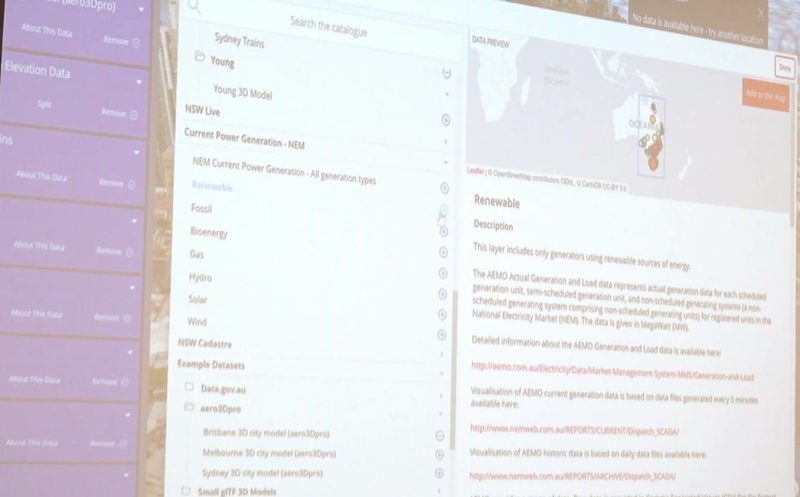 The NSW government has provided the first look at a “digital twin” proof-of-concept that it is developing with Data61. A digital twin is a digital copy of a physical asset. It has become popular in industries like manufacturing or mining where a digital representation, fed by real-time data from the physical asset, can be used to better understand exactly what is happening. In NSW, the Department of Finance, Services and Innovation (DFSI) has an ambitious program of work underway to create a digital twin for the entire state. “How it originated was DFSI as well as other NSW government agencies had some significant input into the NSW state infrastructure strategy,” DFSI’s director of spatial services Wayne Patterson told a recent briefing. “That strategy’s been published with a number of recommendations, and as a result of that, the state infrastructure strategy and Infrastructure NSW realised the importance of data and information to support both policy development decisions and being able to create and monitor a ‘smart NSW’. The 4D digital twin is intended to be a detailed 3D model of NSW showing assets both above and below the ground. “The fourth dimension is not a problem. 4D is time, and we’ve been maintaining date and time attributes against all of our data since the late 1990s,” Patterson said. “However what I didn’t actually realise was when they were talking 4D they included 3D in it, and that’s a completely different story because true 3D data is a challenge that we’ve had to deal with in terms of above and below ground, and linking that data together. DFSI is working with CSIRO’s Data61 to create an open source platform that can be used to visualise and interact with the digital twin. Data61 principal software engineer and team lead Kevin Ring said one of the main challenges is taking large, intensive geospatial datasets and bringing them into a model that can be interacted with through a regular internet browser. “A big part of what we’re doing here is taking data that’s built as it should be in tools like ArcGIS and we’re making it more widely accessible by bringing it to a web based platform,” Ring said. One way of making the digital twin lightweight is to not hold all the data centrally but instead to stream it as required from the various source systems. For example, the digital twin takes live feeds of where public buses are and maps how they are moving. This data is taken as a feed from Transport for NSW. “We’re not storing that data locally,” Patterson said. Patterson and Ring showed off a proof-of-concept demonstrating the linkage of above and below-ground data. “On the strata, this is the first time we’ve actually done this in Australia,” Patterson said. “We all know Sydney is going up [vertically] but we [Spatial Services] only represent information and property ownership on a 2D perspective. “If Kevin clicks on any one of those strata buildings, it will actually identify the unit area and unit ownership [vertically in the model of a unit block]. “When you look at a [normal 2D] map and type in an address, it might be a unit number but it just takes you to where there might be 200 other units. In addition to locating exactly where each unit is, the model can link all the property assets on title. “If you have ownership of a unit on the top floor and an entitlement to a [basement] carpark it will actually identify where that parking space is,” Patterson said. DFSI also demonstrated a “split screen view” where simply moving over the 4D map showed the above and below ground parts simultaneously. “The strata has a portion of it which is underground. We can use a split screen view and actually swipe away the surface to see what’s underneath it,” Ring said. Patterson noted there was still work to be done. “The data is very rich and hard to deliver and that’s what we’re working on in terms of how to streamline that,” he said. “We’ve got a lot of work to do. Patterson predicted that the final digital twin would incorporate “an immense amount of information” from across government and the private sector. On that note, he implored data owners to make information more readily available for these kinds of projects. “The only thing that makes this success is everybody working together from a government perspective in terms of information management frameworks and being able to collaborate with industry partners in terms of making the data available in a delivery platform that’s easy, accessible, and that allows other people to expand upon that to meet their own individual requirements,” he said. Once the proof-of-concept is complete, DFSI and Data 61 will run a "series of user experience and user interface workshops" to better understand all potential use cases for the digital twin. "Then we’ll be going into a phase three component which will be the development of functionality and improvements in user experience, and user interfaces, based on those workshops," Patterson added.